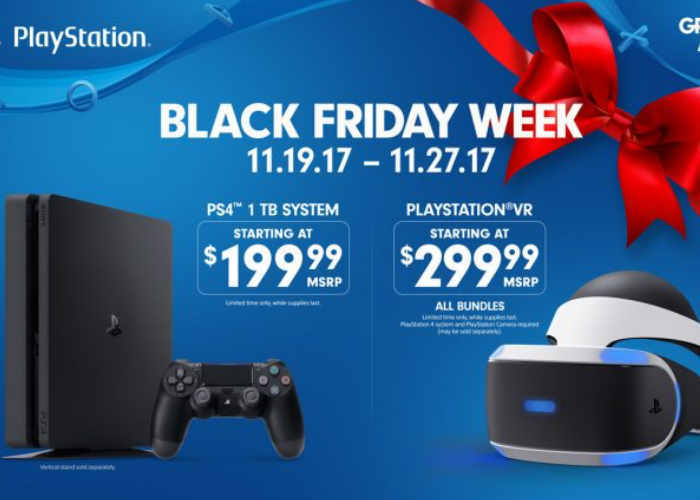 If you’re hoping to bag a bargain during this year’s Black Friday 2017, you might be interested to know that Sony has revealed its Black Friday 2017 deals that will be part of a week-long PlayStation campaign that will take place from November 19th, 2017 to November 27th, 2017. As always with PlayStation if you are a PlayStation Plus Member you will have exclusive access to early deals with additional savings available on hardware and software during the promotion. Mary Yee Vice President, PlayStation Marketing, SIEA explained more about what you can expect in the way of promotions during the week-long Black Friday sale. First up, all PlayStation VR bundles will be available at a great deal at participating retailers. This includes the recently announced PlayStation VR Gran Turismo Sport Bundle at $299.99 USD (MSRP) and PlayStation VR Skyrim VR Bundle at $349.99 USD (MSRP). There has never been a better time to jump into the driver’s seat in GT Sport for a heightened VR experience, or transport yourself into the virtual open game world of The Elder Scrolls filled with dragon-fighting action. For PlayStation 4, the standard slim 1TB system in Jet Black will be available at $199.99 USD. This is the perfect time to pick up a PS4 as a gift for the special gamer in your life, or as a treat for yourself. You can also stock up on additional DualShock 4 wireless controllers while you’re at it. All DS4 controllers, including the recently released translucent colors, will start at $39.99 USD (MSRP) at participating retailers. If you’re a PlayStation Plus member, you’ll get exclusive early access to some of the biggest deals in the PlayStation Store Black Friday Sale starting on November 17. PS Plus members will find deals of up to 40% off on the hottest blockbuster titles. Even if you’re not a PS Plus member, you still can take advantage of the Black Friday deals at PS Store starting November 21 through 8am PT November 28. We’ll have more details on PS Store Black Friday offers in the coming days, so stay tuned. Thanks to all of our fans for continuing to make PS4 the top selling game console and PlayStation the best place to play. We’re looking forward to another amazing holiday season and hope you and your family have a wonderful Thanksgiving!